After writing my first book, Spiritual Whispers to the Soul, which I self-published in July of 2012, I decided I wanted to continue my path of creative and inspirational writing. Presently I am a full-time computer technology instructor for a community college in Boone, NC. Even though I am thankful for my job, I am even more thankful to be able to keep pursuing my passion for writing. 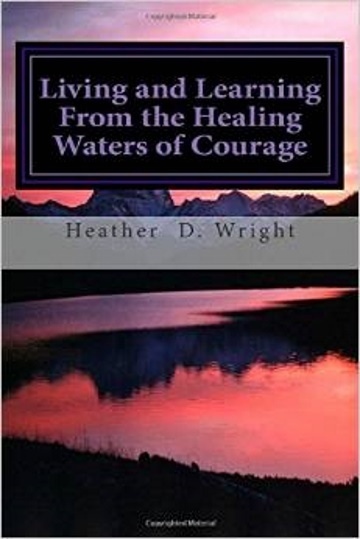 For me writing my first book and my current one, Living and Learning From the Healing Waters of Courage, has been such a great adventure for me because I love to help heal and inspire others as they search for meaning in their lives. My goal is to continue to self-publish more books under my publishing name, Colorful Spirit Publishing, in the hopes I can be what motivates others to follow their true spiritual paths in life. 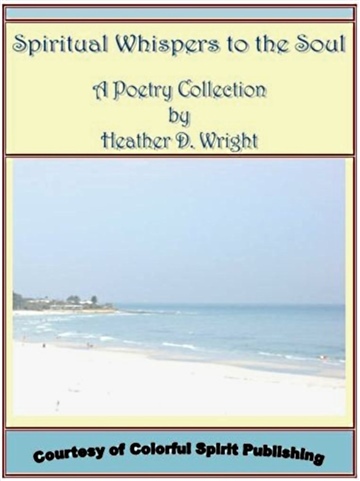 For more information on where to find my first book and my current one for sale, please visit my website at www.colorfulspirit.com or feel free to email me at hwright@colorfulspirit.com. I hope that somehow my first book as well as this one can continue to be a great source of inspirational comfort to the lives of so many now and forever.